So, back in September or October 2017, I saw your Ted talk about how you have been discriminated against because of your weight. When I went in to get my physical from my doctor, she told me “I’m going to be very frank with you. You need to lose weight.” I definitely put on a lot of weight before I saw her last, and, while it is an understandable concern because of how overweight I am, when I told my mom she was kind of frustrated because this past summer I was obsessing about my weight and worrying about every little thing that I ate, and, because of that and also excessive hunger, emotional issues, and other factors, I felt like it was just so hard to not overeat. I actually put on a lot of weight last year because, partly because I was very stressed in school, and, when I did try to lose weight, I would only just get very hungry and eat way too many calories, so, I felt a lot less motivated to try to lose weight. I know my mom was actually worried about me getting an eating disorder because of my obsession with my size and everything I was eating this past summer, despite the fact that I was about 15 pounds heavier than I am now. Yet, I was and probably more obese than any of my siblings and my family. After my doctor told me to lose weight, I was very stressed about trying to lose weight that actually made it harder for me to lose weight, and, the stress of trying to lose weight because my doctor told me I needed to it almost a stern way made me want to overeat more. I then later on saw a gastroenterologist for my stomach problems, and, I was so anxious, and my blood pressure was there for the pre-hypertension range just because of my anxiety being there and being worried about being judged because of my weight. But, my gastroenterologist was not judging me because of my weight, but, he was supportive of my desire to lose weight, and, his attitude made me a lot less worried about weight loss, thus, possibly making it easier to lose a little bit of weight. After my doctor told me to lose weight, that is when I became aware of the widespread problem of weight discrimination and wait by us, in the medical field, and, many people, especially women, have experienced this. Well, I had first thought my doctor meant well and that what she said was completely legitimate, and, she possibly did, but, according to the research that I have been doing, a lot of doctors are prejudiced towards overweight people, and, now that I think about it, it kind of did feel like my doctor had some prejudiced towards me. Funny thing is, I have actually been trying to keep my blood sugar under control before I visited her, because, it was a little too high, but, when I visited her, it was actually at a very healthy level. But, when I weighed less, my blood sugar was a little too high, but, she didn’t make a big deal about that or even tell me that, which I find a little strange and interesting. I find it interesting that my weight was a bigger deal than the fact that my blood sugar was a little too high when I was thinner. Anyway, thank you very much for sharing your story with your Ted talk and through your posts. I am very well aware of the hate that you have been receiving by other people, and, I personally believe that the people who are judging you don’t know you at all, and, I am sure that if someone knew you personally, especially if they knew you well, they would not be so inclined to judge you as though you are lazy and noncompliant. I really appreciate what you are doing, and, I know that the buyers that I have experienced or possibly experienced from my doctor it’s a very tiny fraction of what many others have experienced, and, especially you for that matter, according to what you have shared. It is very sad that so many people have put themselves in these shackles where they believe that people who are overweight or overweight only because they are lazy and are not using enough self-control. I have become more aware of the bullying at harassment towards people who are heavier, especially through negative and nasty comments on YouTube, where the people who are making those nasty comments are trying to justify themselves and justify their attitudes by saying that fat shaming someone will help them and that it is for their good. And, they will try to sugarcoat their bullying by saying stuff like “I’m not being a bully, I’m just telling the truth.” I love seeing how you are not afraid to show your legs and that you feel totally confident about how they look! I feel like that is such an inspiration to me and possibly a motivation for me to love the way I look even more with its “flaws.” I am very happy to see that you are working out and trying to take care of yourself the best you can. You are very beautiful, and, I’m not just saying that because of your beauty within. I believe that you are outwardly beautiful as well. I have been trying to learn and I still I’m trying to learn that I should not be bothered by the mean things that people have said to me, and, I hope that you will try not to let those things that people are saying to you bother you bother you. They don’t know you and what a wonderful person you are. If they are judging you just because of your appearance, then, they are at loss for not knowing what a wonderful person you are. You are such a wonderful person, and, if all they can see is your appearance, then that is on them, and they have no reason to blame you. You are not making them think this way, they are doing that to themselves. I personally believe that we have a loving heavenly father who loves each and everyone of us, and, each of us is special to him. Maybe he has given this world “misfits” to teach us that everyone is special regardless of their looks or abilities etc. I think that you have been placed on this earth to raise awareness about this problem and to maybe teach people that there is no “one-size-fits-all” look for everyone. I think you should see the movie The Greatest Showman. It is a true story, about this man who put on a circus, and he had all these “misfits“ perform, people who looked “ugly.” those people have learned to love themselves more, and it seemed like society, or chocolate society, has learned to except those kinds of people a little bit more. But, a very large group of people got so angry that these “ugly“ and “worthless” people could be represented that they formed a mob to try to burn the place where the circus down and caused a lot of other chaos. None of us is perfect, but, unfortunately, many people in society are so swallowed up in their pride that they will judge other people simply based on their looks that they fail to look at how their lives need improving. Those people who are harassing you and bullying you, and saying that you are so lazy, I would say, a lot of those people are lazy themselves and probably living in their mothers basement, wall, you are supporting yourself and trying to help others. Those people that are judging you are so swelled up in their anger and judgments that they are not moving their lives forward, but, you are, so you should think about that. There is nothing wrong with the way you look. You are beautiful, and, I appreciate you opening up about your story despite the fact that you have received so much hate from it. And, thank you for raising awareness about such a problem that I had no idea was such a problem until my doctor told me to lose weight. I think that you have been placed on this earth to raise awareness about this problem and to maybe teach people that there is no “one-size-fits-all“ look for everyone. There is this ideology that if you’re overweight, you’re not taking care of yourself, and Tommy must not be exercising enough, but, I know that there are plenty of skinny people that don’t exercise and eat junk food all day and are couch potatoes that are lazy, but, you, on the other hand, are exercising and trying to take care of yourself. 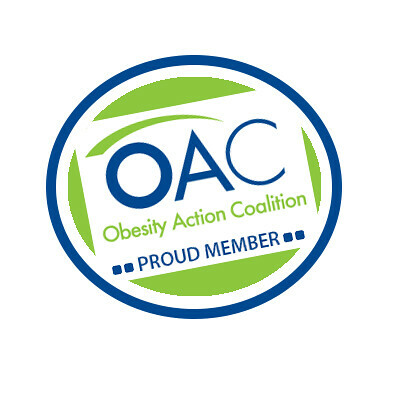 I know my post is a long post, and, sorry about that, but, again, I just wanted to say thank you for sharing your story and for being an advocate for obese people, especially, those who have been discriminated against in the medical field because of their weight. I also wanted to let you know, that, I started following you on Instagram. I don’t know you personally, but, from what I can see and feel, you seem like a very lovely person and worth getting to know. You are an inspiration to me to help me to love myself regardless of what other people think about me, and, just because someone may not like me, that doesn’t mean that I did anything wrong, and, you seem so confident that you are worthy of love despite your condition. Again, thank you.